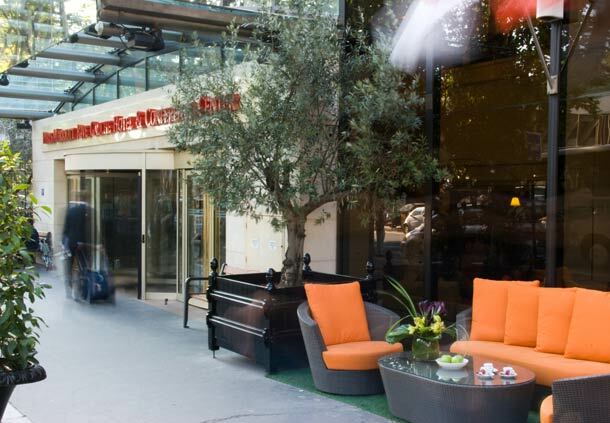 Situated in downtown with direct access to major airports and considered one of the premium four-star hotels in Paris, Paris Marriott Rive Gauche Hotel & Conference Center is conveniently located by the Latin Quarter and Saint-Germain-des-Pres. The metro station nearby takes you directly to the Eiffel Tower, Champs Elysees, Montparnasse business district and Notre Dame in less than half an hour. 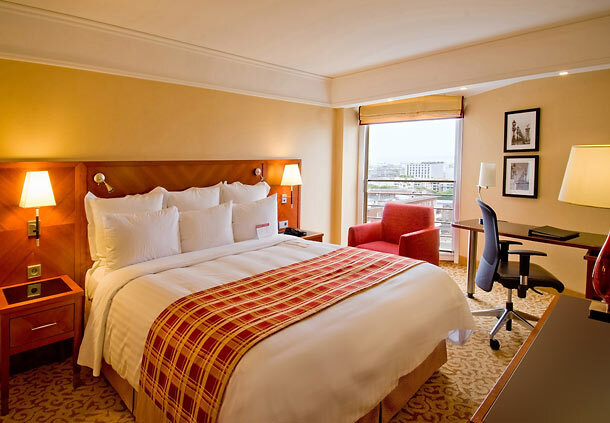 All guest rooms are larger than the average 4-star Paris hotel room. 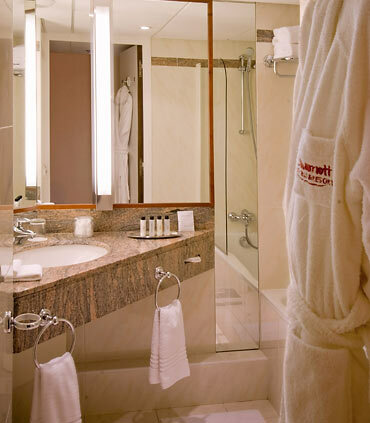 Our four-star Paris hotel features spectacular views, comfortable Revive bedding and upscale shower products. The 70s-inspired R’Yves Great Room concept combines a restaurant, cocktail bar and private lounges as well as a take-away counter for guests to enjoy great food in a trendy atmosphere with wireless Internet. In the central Rive Gauche vicinity of France’s capital city, we provide excellent services and facilities for a successful business trip, weekend visit or a holiday away in this unique European destination. 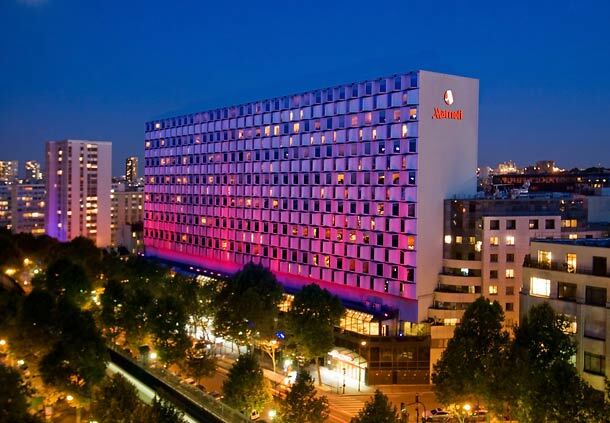 Our business hotel near Montparnasse offers easy access to the congress center and nearby airports. 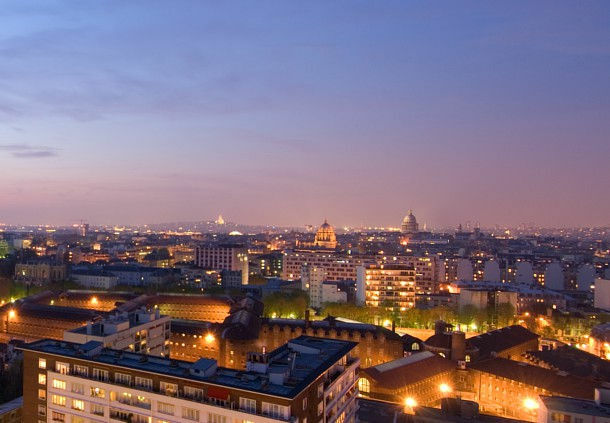 Experience Paris’ largest business hotel, with 50 event rooms and 4,800 square meters of space. 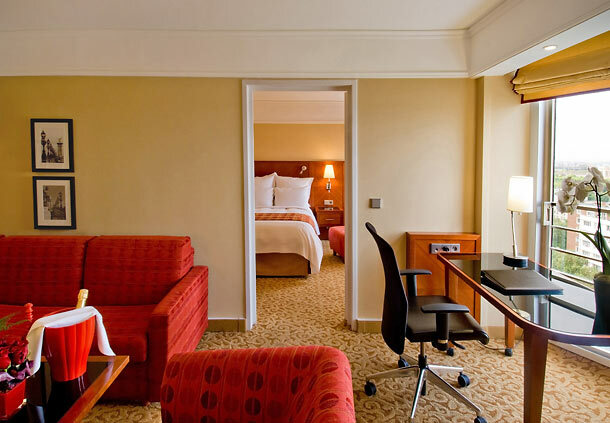 We easily accommodate meeting delegates with our 757 hotel rooms and suites for overnight stays. 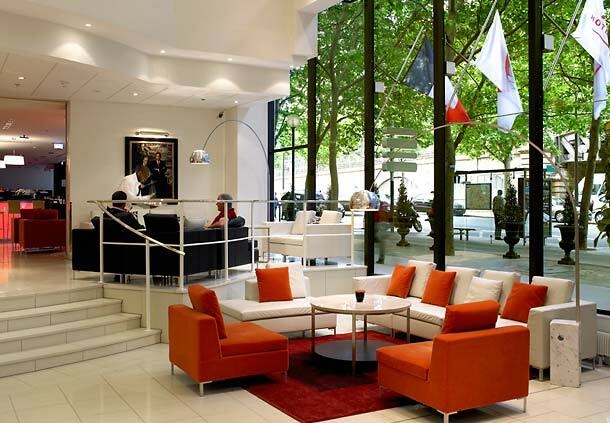 Ideal for Paris business travel, we can host up to 1,200 delegates in 40 smaller breakout rooms. The culinary team at our business hotel caters for meetings, conferences and exhibitions near Bercy. Click here to download our MeetingMatrix® Certified Diagrams to start planning your next event.